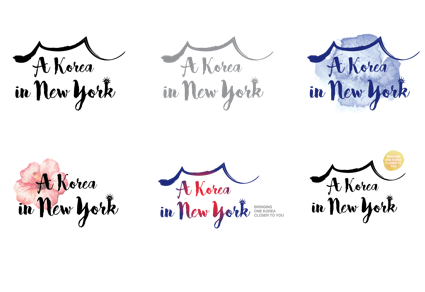 “A Korea in New York” is our collective slogan for 2016 that encompasses our aims to promote Korean contents to the communities in New York and the surrounding areas. 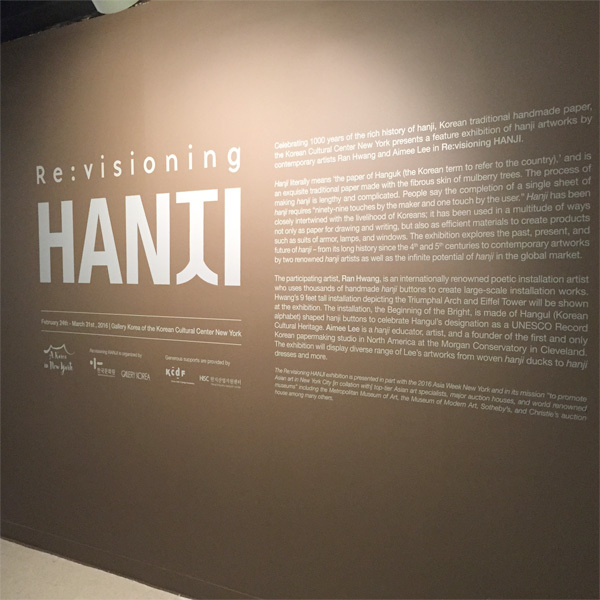 It also embodies our aims to move forward with the new global cultural enrichment initiative announced by President Park Geun-hye during her visit to the Korean Cultural Center in September of 2015. 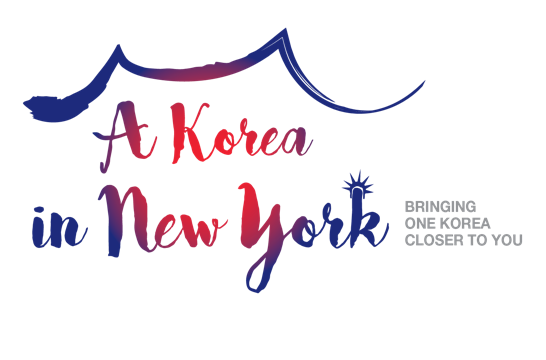 Please visit the link for more information and coverage of President Park’s visit to the Korean Cultural Center New York. + Why do we need a slogan? 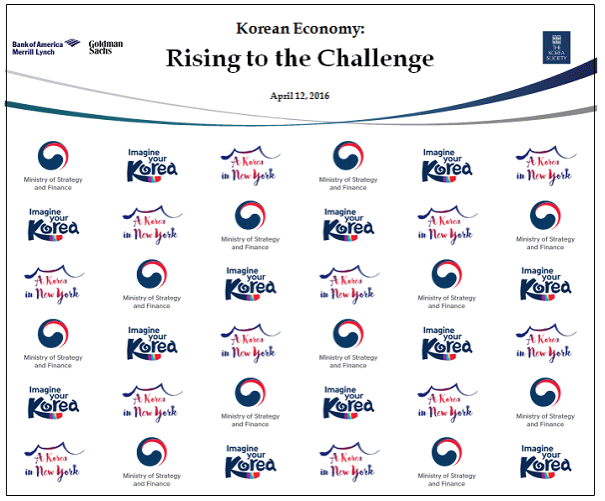 Although some specific aspects of Korea such as IT technology, Korean cuisine, and K-pop are increasingly popular, the overall level of awareness of Korea and its various cultural and creative contents are yet low. There is a need to create powerful, synergistic partnerships to better effectively promote Korea and Korean contents as vibrant, accessible, and relevant. 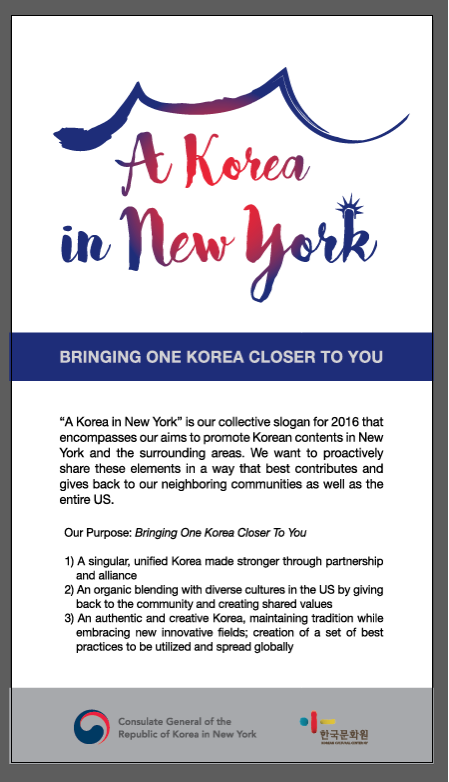 We want to proactively share “Korea” in a way that best contributes and gives back to the communities of New York as well as the entire US. 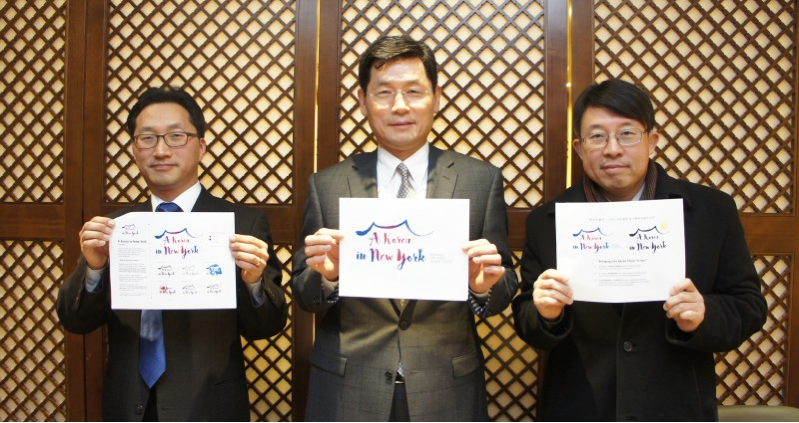 “A Korea in New York” is the winning slogan selected from the NAME YOUR KOREA competition. 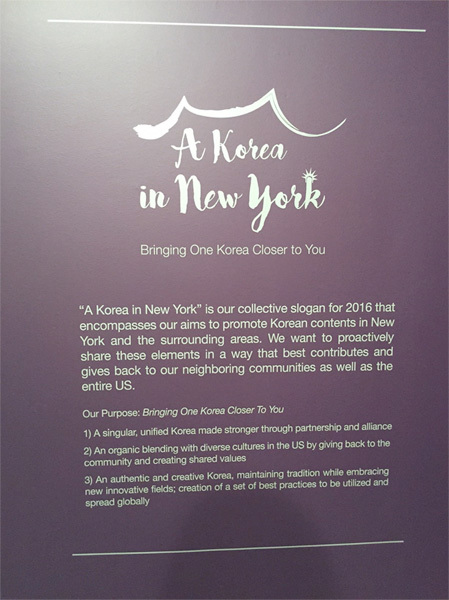 + How are we using the “A Korea in New York” slogan?